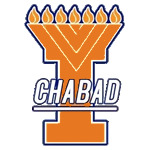 The Chabad Jewish Center at the University of Illinois is a unique organization that is successfully engaging the minds and hearts of hundreds of Jewish students on campus... your children! Your gift allows us to continue our work and build Jewish identity on campus. As you can see by the variety and amount of programs we provide, this is quite a large financial endeavor. Chabad is a leader in building Jewish identity on campus. Become a partner in this noble task - for yourself, for your children, and for the thousands of Jewish students at the University of Illinois. 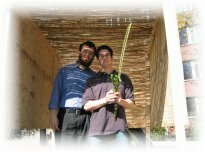 It is Chabad policy that each center is supported by the community it serves. Thus, funding for our campus programs is generated by parents, alumni and those that appreciate the signifigance of our work. No money or dues are sent to international Chabad headquarter - all funds donated go straight to serving the University of Illinois community - your children.